Aleida Groos, 91, of Colton passed away on Wednesday, March 14, 2018 at her home. Her Mass of Christian Burial will begin at 1:00 p.m. on Tuesday, March 20, 2018 in St. Mary Catholic Church. Visitation with the family present will be from 5:00 p.m. - 7:00 p.m. on Monday, March 19, 2018 at Kahler Funeral Home. 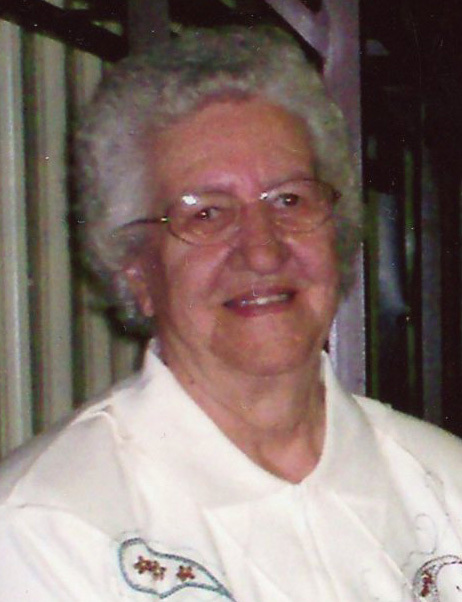 A Christian Wake Service will begin at 7:00 p.m.
Aleida was born on September 30, 1926 at Alvord, Iowa to Henry and Martina (Boon) Busser. She attended Lawndale grade school, rural Colton. She worked for several families in the community. Later she worked in Sioux Falls at Dakota Laundry for many years. She married Bill Groos of Colman on April 18, 1959 at St. Mary Catholic Church in Sioux Falls. They moved to Rapid City for several years until they moved back to Sioux Falls in 1968. They had one son, Paul, in June of 1962. They moved back to Colton in 1972. Bill passed away in April of 1979. Those left to cherish her memory are her son, Paul of Colton; her two brothers, Bill (Sue) Busser of Byron, IL and Neal (Betty) Busser of Colton and her many nieces and nephews. She is preceded in death by her brother, Arie (Arla) Busser who passed away in 1972.